This weekend has been AMAZING! So amazing that I just have to tell you all about it! On Friday night I attended a ‘Big Sing’ with John Bell from the Iona Community and his colleague Christine. It was an incredible experience to see someone teach three- and four-part harmony to a group of people with a mixed experience of singing, usually unaccompanied by any instruments! John inspired everyone with the confidence to sing despite their reservations and the beautiful church of St. John’s at Studley was filled with divine music all night long! Saturday was a day of workshops with John. The morning was titled ‘Why do God’s people sing?’ and the afternoon was looking at the Bible. It was a really interesting day – taking me back to my first year of theology at university in the afternoon – and I met some really lovely people! Christine and I had been speaking the night before, and I gave her some music to take away, and I was touched by how grateful she was. I’ll come back to this day in a moment. 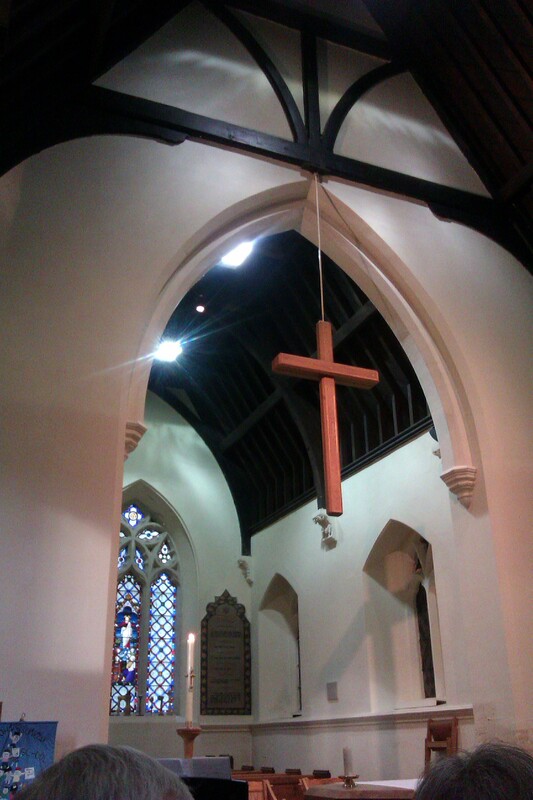 Then today was a Communion service at St. John’s, with the sermon preached by John. He was speaking about Psalm 23 and had some really interesting points to make about the nature of God as shown through the Psalm. I shan’t steal his thunder and put them down here, but it was a great sermon! So, what does all this have to do with anything? One of my favourite sayings is ‘Coincidence is God’s way of staying anonymous’ and I could see at lot of this happening this weekend. Firstly, I had found out about this weekend purely by chance. Or ‘chance’! I was having a look at a church’s website while searching for my next concert venue and thought that the poster looked interesting, so I signed up to Saturday’s workshops. Then I was asked if I wanted to go to the Big Sing, too, which of course I did! So that was all a bit coincidental. Then I moved house on 10th April and was sitting around feeling a bit blue about the move and started to look on the internet for things going on in the local area. When I had a look at the Salisbury Diocese website I found a course to get a certificate in church music. I started to get excited and wrote to the contact to find out how much it cost etc. Turns out it was free! Superb! So I enrolled and picked my modules…one of which is called ‘Why do we sing?’ Reading list: John Bell. Fantastic work, God! So all really good so far! Now the next fantastic piece of work by the big old G-O-D would have to be the Taizé. I love Taizé as anyone who’s met me knows! So when someone said that the curate at St. John’s was trying to develop the music of the church, I thought I’d offer it up as a suggestion, either as a once-off workshop or as a regular thing. Oh yes, they’ve been after a regular Taizé service for some time and hadn’t quite managed to get it sorted. Thank you again, Lord!! Add to all of this three members of the church with whom I have mutual friends, a lovely church building and an incredibly positive experience all round, I am feeling very loved and cared for. What a wonderful God we have!!! Today is the day of St. Anselm according to the calendar of both the Church of England and the Roman Catholic Church. Archbishop of Canterbury from 1093 to 1109, Anselm is perhaps most famous for proposing the ontological argument: if the greatest possible being exists in the mind, it must also exist in reality, so therefore God must be real. He wrote, “Neque enim quaero intelligere ut credam, sed credo ut intelligam. Nam et hoc credo, quia, nisi credidero, non intelligam. ” (“Nor do I seek to understand that I may believe, but I believe that I may understand. For this, too, I believe, that, unless I first believe, I shall not understand.”) – thank you Wikipedia! But I think it’s an interesting idea – trying to prove God’s existence. By trying to do so, it seems to me to be an affirmation of faith and a desire to share faith with others. Although it’s just not my cup of tea! This evening I went to the first rehearsal for the Salisbury Diocesan Choral Festival. I’ve never taken part before, but I’m excited about joining together with (potentially) 300 people to sing in Salisbury Cathedral, Sherborne Abbey and All Saints in Westbury! I love singing and always have, and I am well aware that the majority of people I meet would agree that they at least like it. But WHY? What is it about singing which makes us enjoy it? There is enough biblical evidence to say that it’s a good way to praise God and I could do on for hours about why it’s used in worship, but it doesn’t answer the question. In his work, Byzantine Sacred Music, Constantine Cavarnos states: “The aim of this music is not to display the fine voices of the chanters, or to entertain the congregation, or to evoke aesthetic experience…The aim of Byzantine sacred music is spiritual. This music is, in the first place, a means of worship and veneration; and in the second place, a means of self-perfection, of eliciting and cultivating man’s higher thoughts and feelings of opposing and eliminating his lower, undesirable ones. What is it that drives people to seek God? Is it the soul, this part of us which makes us ‘in God’s image’ and which is drawn like a magnet back to the Creator? Is it that we are aware of the darkness around us, through which the light of God is seen? If this is true, that God is inside each of us (as God is inside everything! ), then it is hardly surprising that people are drawn back to faith throughout their lives. In my experience, even people who leave organised religion will often find comfort in some sort of spirituality at some point in their life. I can remember reading a book of letters by Evelyn Underhill for my degree which included one to a young teacher. She said to this teacher something along the lines of: the girls cannot understand what it is you teach them at 14, but at some point in their life, some catastrophe will strike them and they will remember everything you have taught them about God. I hope that’s right and I haven’t just made it up! But it really struck me because it’s true that people fall back on God when times are hard. It’s a strange paradox – going to God when you are struggling, when that God went through some of the worst suffering we can imagine! Try holding your arms up as high as your shoulders. See how long you can hold them there for until they hurt or until they start to fall slightly. I bet it’s less than 5 minutes. Jesus hung on the cross for 6 hours like that, with nails driven through his flesh; having been tortured, spat at, shouted at and accused; having not eaten or drunk since the night before…but it’s because of this suffering that we know God understands us. I agree with this quote by Sir Thomas Browne – life is a flame and we do live by the light of something we cannot see. But remember: fire can light, heat and cook but it can also burn and destroy. It is how you use it and how carefully you treat it that matters. So how will you look after the flame of your life? Stay with me, remain here with me: watch and pray. One thing which I find really beautiful about Holy Week is that we can spend time imagining ourselves there with Jesus, because we know most of what he was doing during this time. To be given an opportunity to imagine ourselves walking with Jesus through the Last Supper, the betrayal, the crucifixion and the resurrection is so special. To be given the instruction, ‘stay here and pray’ is an instruction which we can still be given today. To pray not to be tempted is still a prayer we can pray today. To struggle to be spiritually strong as we are bound by our physical bodies is still something we can do. 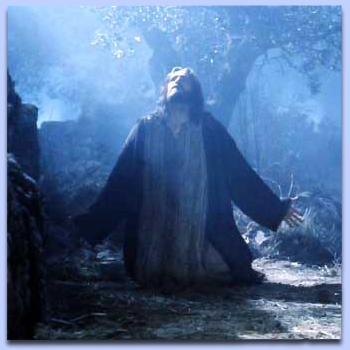 I can so easily imagine myself there with Jesus in the Garden of Gethsemane tonight. Jesus is God incarnate…and yet Jesus prayed to God. When speaking about prayer he said, ‘And when you pray, do not keep on babbling like pagans, for they think they will be heard because of their many words. Do not be like them, for your Father knows what you need before you ask him.’ So what is the purpose of prayer? I would say that prayer is a way for people to quieten themselves by focusing on God, and a way to develop their relationship with God. I believe that prayer is a way for us to come humbly to God, who knows all of our weaknesses and to admit to our limitations, our fears or our desires. It is a way for us to be honest with God and for us to listen to the voice of God. And so tonight we watch and pray, not shying away from the pain that Jesus was about to endure at this point in his final year, but making ourselves vulnerable in his sight just as he made himself vulnerable for us. Heavenly Father; as we move towards the crucifixion and the sacrifice of your Son on the cross this week, help us to remember you in our hearts and minds. Help us to make the sacrifices necessary in our own lives, secure in the knowledge that the ultimate sacrifice has ensured our salvation. Be with us as we make our commitment to live our lives in the spirit of the cross. Lord in your mercy, hear our prayer. Last night I went to a beautiful Taizé service at St. Mary’s in Limpley Stoke (near Bath). It was very special, especially as I was with a group of people who sang in full four-part harmony for each song. It makes the experience so much more reminiscent of being in Taizé that I was truly moved. During the prayers of intercession and the silence in which we could add our own prayer, I reflected on the sacrifice of Jesus on the cross. The prayer above came to me, which was a real blessing. I am going to be moving house in a week, to live with my dad after 3 years of living alone and I have been really struggling with the prospect. I know that it is the right thing to do at this moment in time, but that knowledge doesn’t make it any easier! But after this reflection on sacrifice and having said this prayer, I felt a sense of peace around the situation. It really is amazing how prayer is answered in ways we don’t expect, and in every aspect of life. It’s not just the big things which need prayer and which God pays attention to – it’s everything. If you are open, I truly believe that God will be with you in ever moment of your life, even if you don’t realise He’s there. Entering Holy Week is an experience which is different for each person. I can remember being at a Taizé service during Lent some 8 or 9 years ago and asking a visiting monk if he enjoyed the service. His response was that he could not enjoy anything during Lent, which at the time I thought was really peculiar – surely the salvation that comes from Easter is something to rejoice? I now understand much better where he is coming from, having spent time meditating on the different meanings to be found in the events leading up the resurrection. But if there is one day which really is about rejoicing, then that day must be today! And the streets echo with praise for the One they are all waiting for, whom they receive with joy and love. Throughout the year we have opportunities to reflect on aspects of the Gospel, giving us the chance to try again and again to commit ourselves to God. 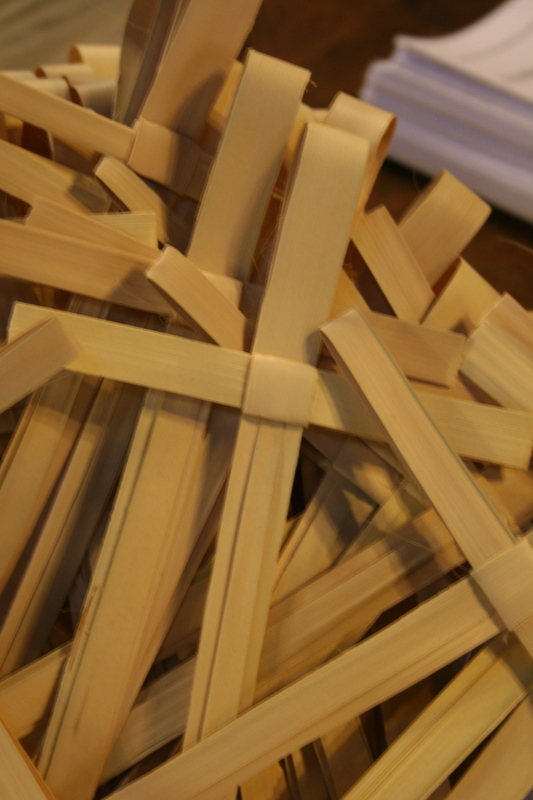 Perhaps Palm Sunday is a chance for us to welcome Christ again; perhaps it is a chance to reaffirm our faith; perhaps it is a calling to think about the strength of our commitment to God; perhaps it is a time to celebrate before the pain of the crucifixion. However we use it, may it be a day of blessing for all!